So, you’re ready move into a new house. But you don’t want to settle for just any house. You want to move into your house; a custom home, built to your specifications; a home that meets your every want and desire; a ‘dream home’. Good for you! 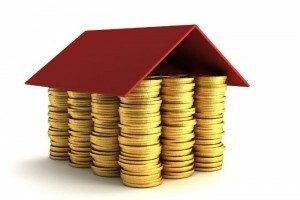 Now the question arises; how will you be paying for your dream home? Odds are, you’ll need construction financing. Construction financing involves the use of a construction loan; a ‘value-added’ loan wherein the proceeds are used to finance a construction project of some kind. There are a number of construction financing options available and a multitude of banks and lending houses offering a wide variety of loans with differing rates and repayment options. Choosing between them can be challenging, so we’ve made this quick guide to help you along the process. First, you’ll want to know your available options. Current construction financing options include 30 and 15 year fixed rate loans; 1, 3/1, 5/1, 7/1 and 10/1 adjustable rate mortgages; and interest-only loans. 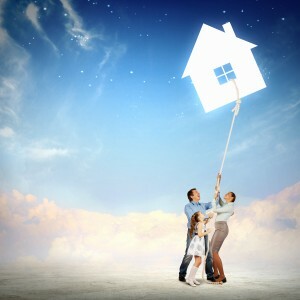 Most of the options are known as ‘one-time close’ loans, with which you are only required to pay a single closing fees. Other, more varied loans may offer greater flexibly over time, but cost the borrower two sets of closing costs. Next, you’ll need to pre-qualify for the loan to ensure that the requested loan fits within your budget. Construction financing loan rates, like any loan rates, are contingent upon your credit score and financial standing, though other factors also come into play, like the percentage of the land you plan to build on that is pre-cleared. Another deciding factor on the rates offered will be your intended use of the loan (i.e. are planning to reside within the new construction of resell the property at a profit upon completion). Once you’ve been pre-qualified for a construction financing loan, you’ll have to decide on a lender. The first consideration in choosing a lending institution should be the level of experience the lender has. Construction financing is even more complex than mortgage lending, and while a local bank may offer lower rates than an experienced construction lender, the level of professionalism offered by dedicated construction lenders have the potential to save you from tons of headaches down the line. Now that you’re pre-qualified and set on a lender, it’s time to submit your loan application. Upon approval of the lender, you will have to decide whether to ‘lock-in’ your interest rate for the duration of the construction process or to let the interest ‘float’ in hopes that the lending rates decrease. Everyone’s financial situation if different, so work with your lender to choose the option that works best for you. The next step is to enter into a contract with a builder. An experienced builder, like Penn Jersey Development Co. can provide you with a builder’s package that includes items such as a builder’s statement which provides previous experience references and credit and banking references, a line item cost breakdown, a materials list and, last but not least, a construction contract. Lastly, you’ll want ask your loan officer to provide you with a copy of the estimated construction loan budget. The budget is created from your costs and includes every cost within the loan including land balances, closing costs, interest reserves, contingency and bank fees. This will help you to understand the scope of the process while keeping track of where your loan money is going. Always choose a lending institution that you know and trust; advice that goes double for the construction company that will be doing the work. An experienced construction company, like Penn Jersey Development Co., can work with you through every step of the construction financing and building process. Contact Penn Jersey at 1.800.ELEVATE today and take the first step toward turning that ‘dream home’ into a reality.